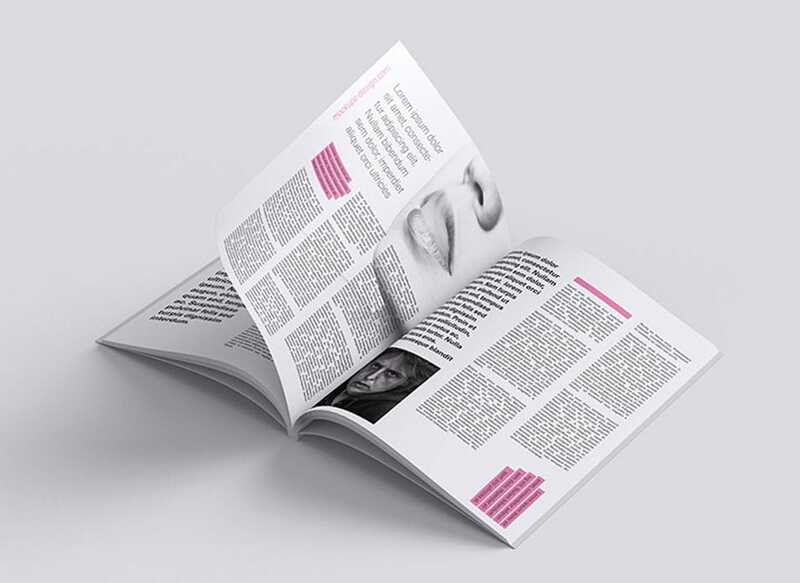 Available for download at mockups-design.com, here comes a free PSD of a Flipped Magazine Mockup. The file is easily and fully editable with smart objects. Mockup`s Design is a simple site where designers from all over the world can find premium mockups for their projects. It is important for them, that all these mockups should be completely for free and easy to download. Moreover, this Flipped Magazine Mockup is perfect for showcasing your design in editorial pages or even press advertisements. Feel free to use it any way you like it, may it be personal or commercial purposes. Furthermore, other important information about the mockup includes the following: has 5 views/shots and customizable background. Lastly, we hope you find this mockup useful in your current and future designs. Share, download and have fun designing!